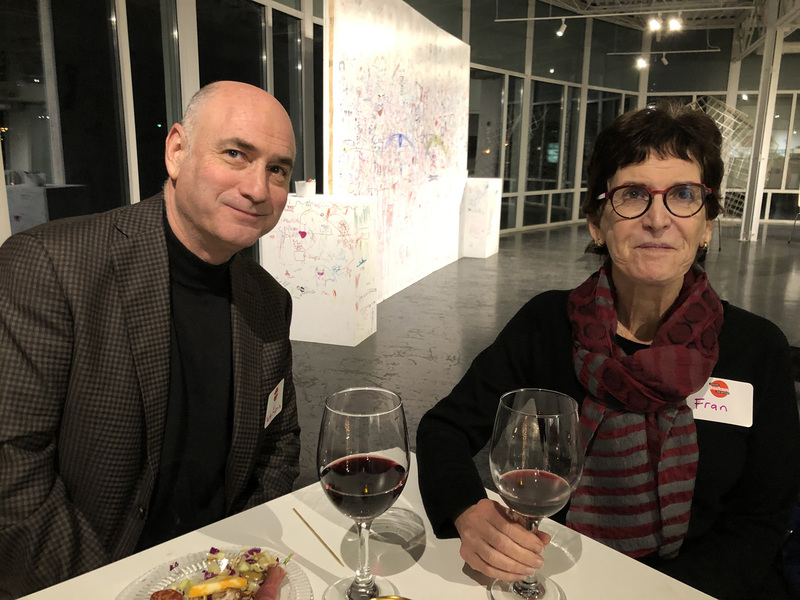 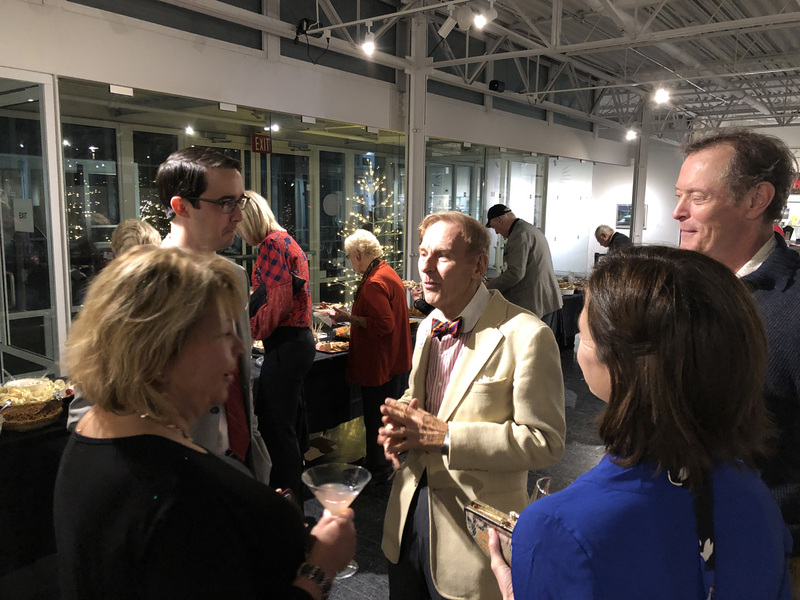 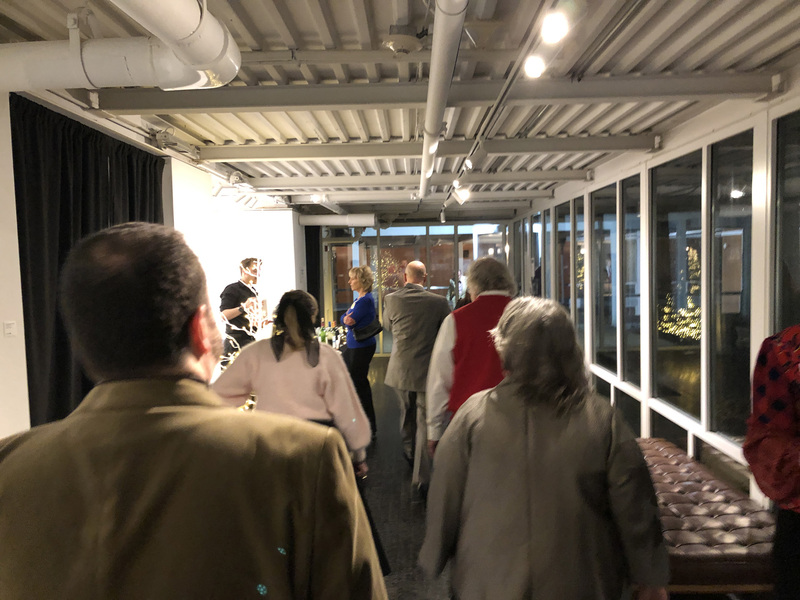 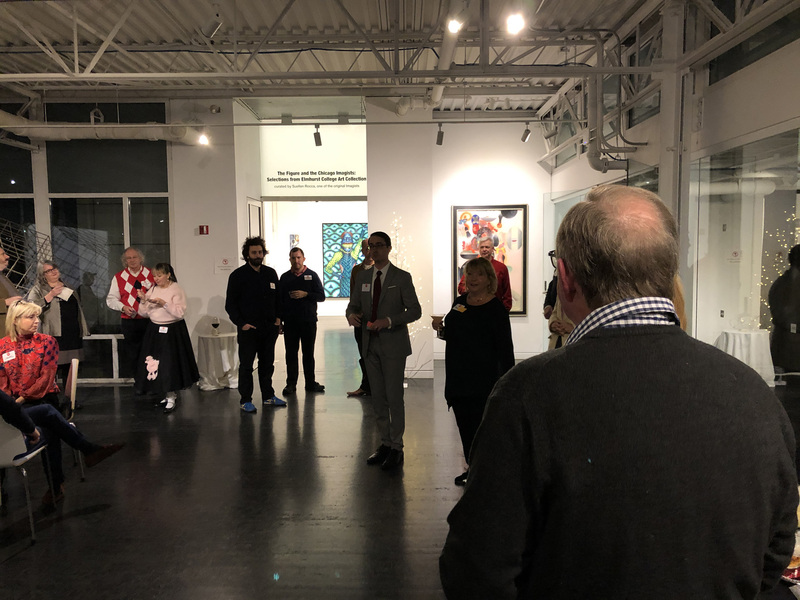 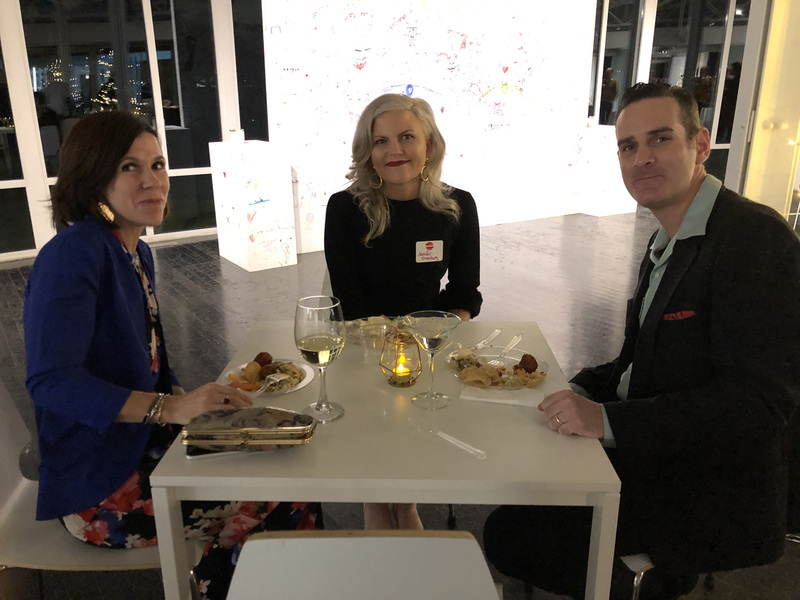 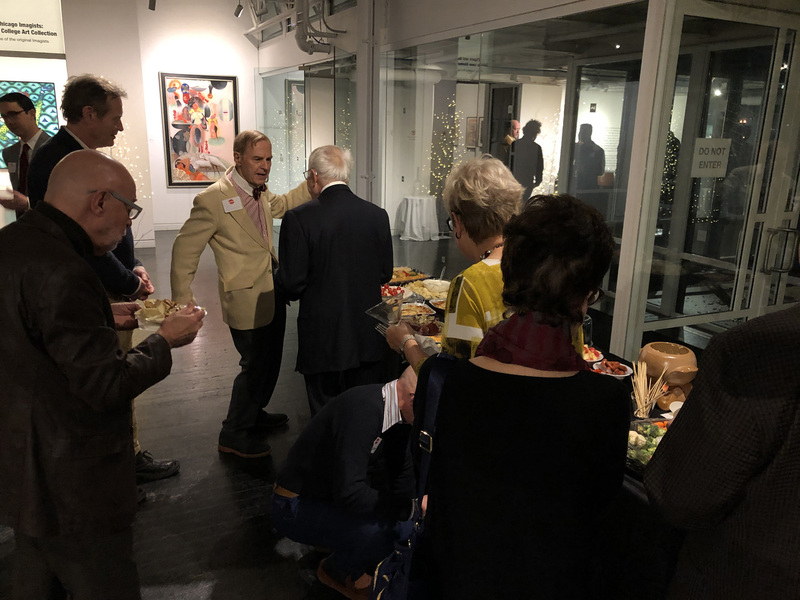 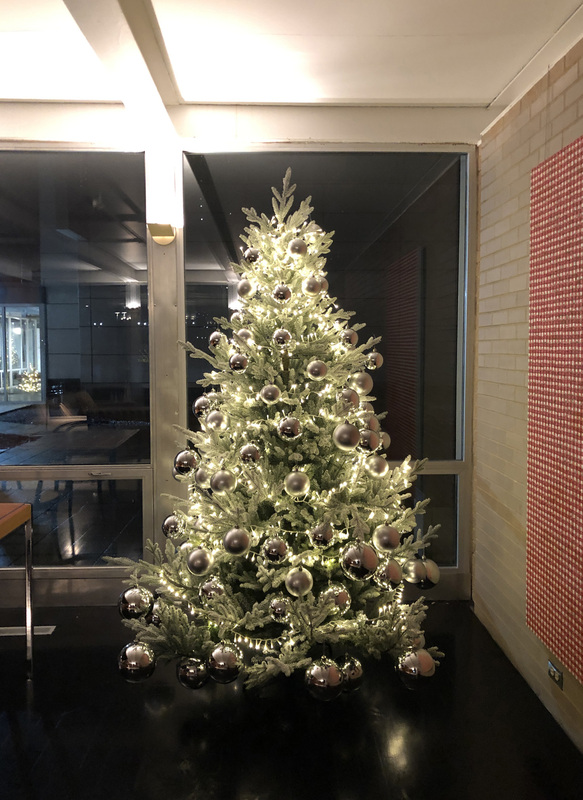 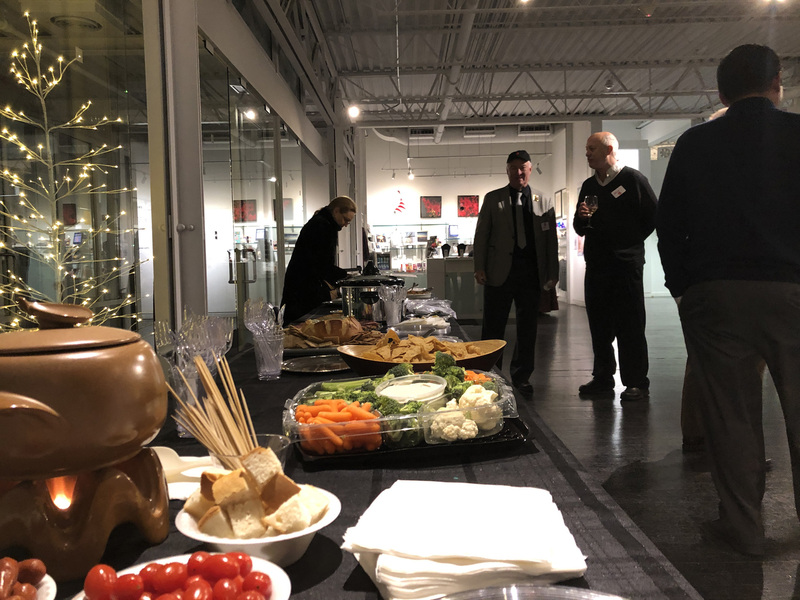 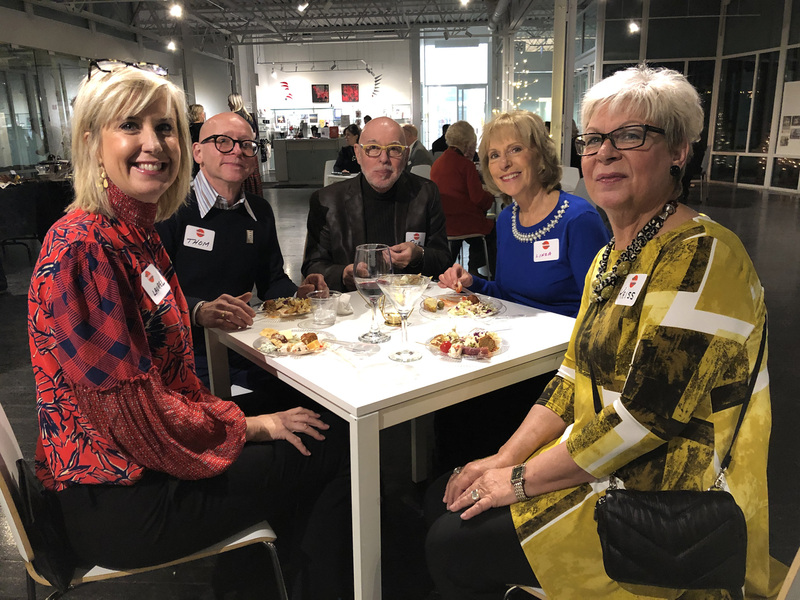 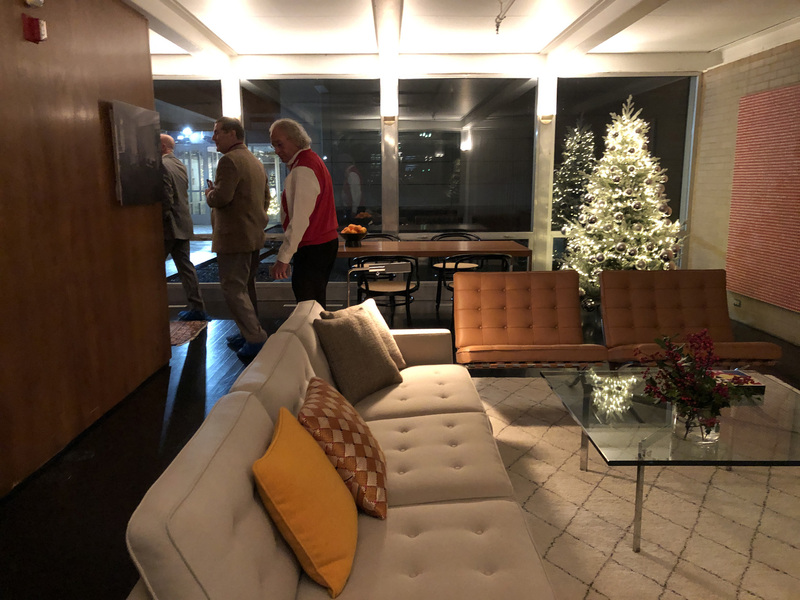 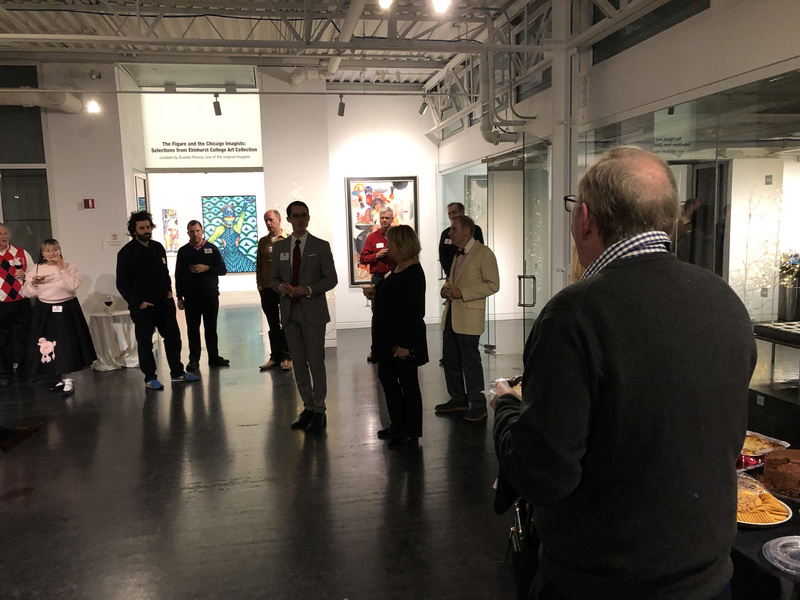 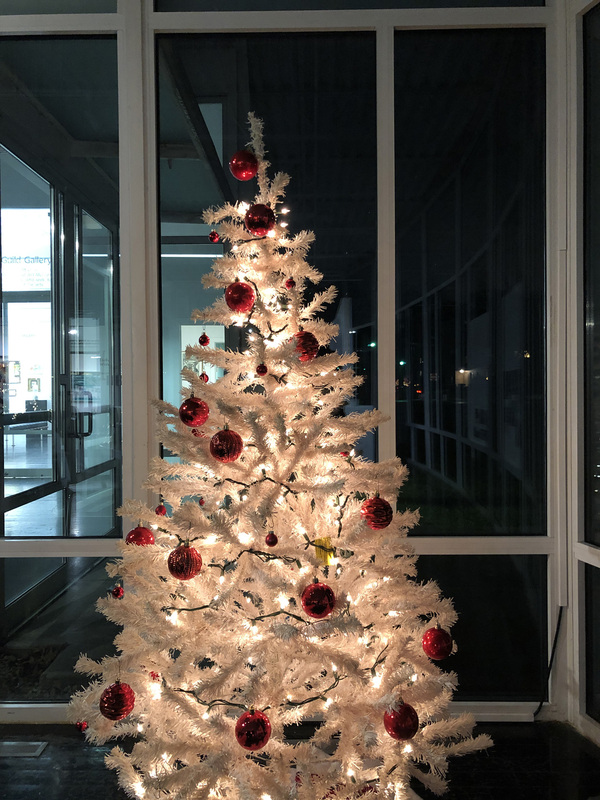 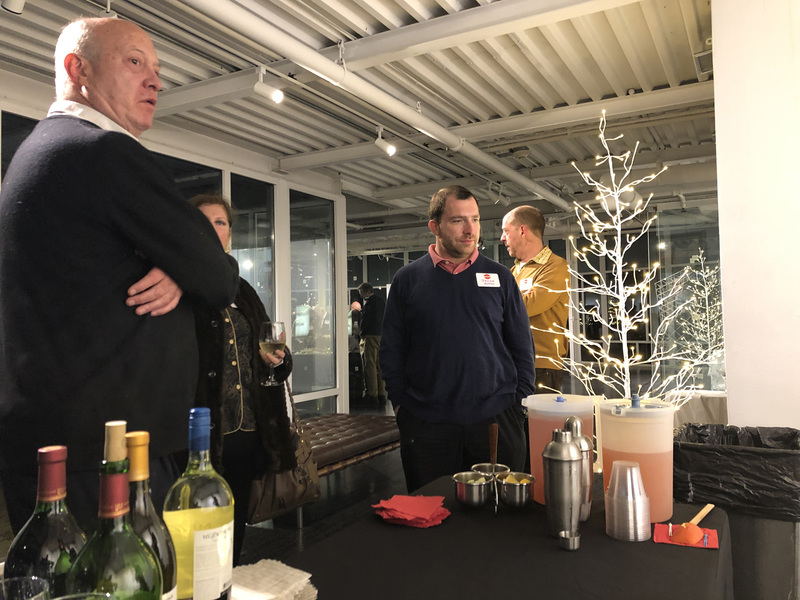 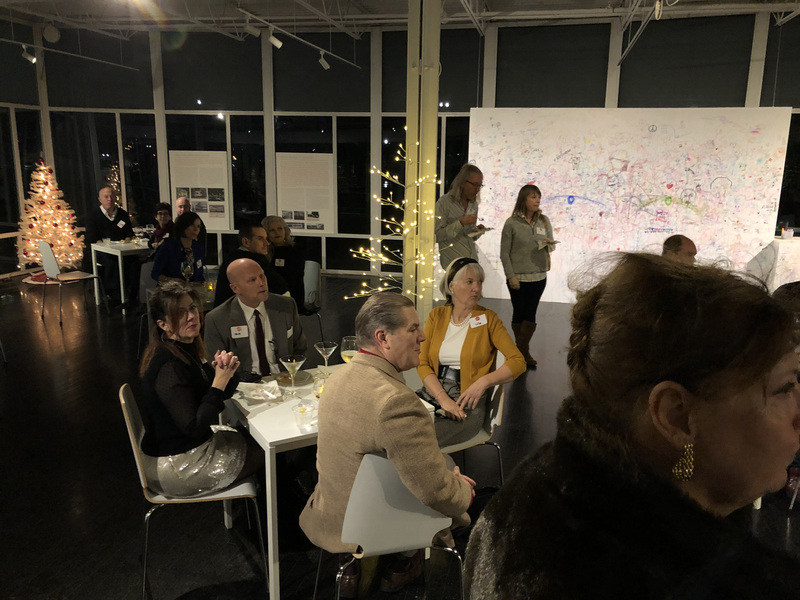 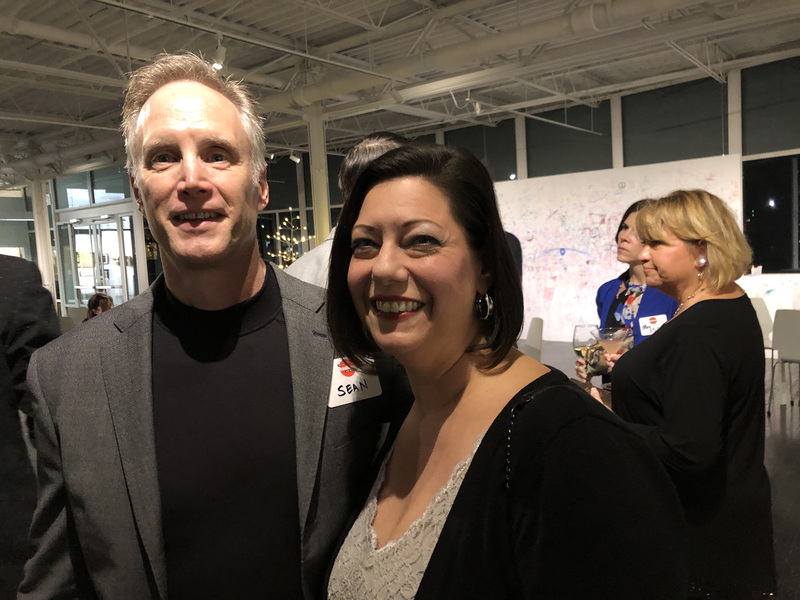 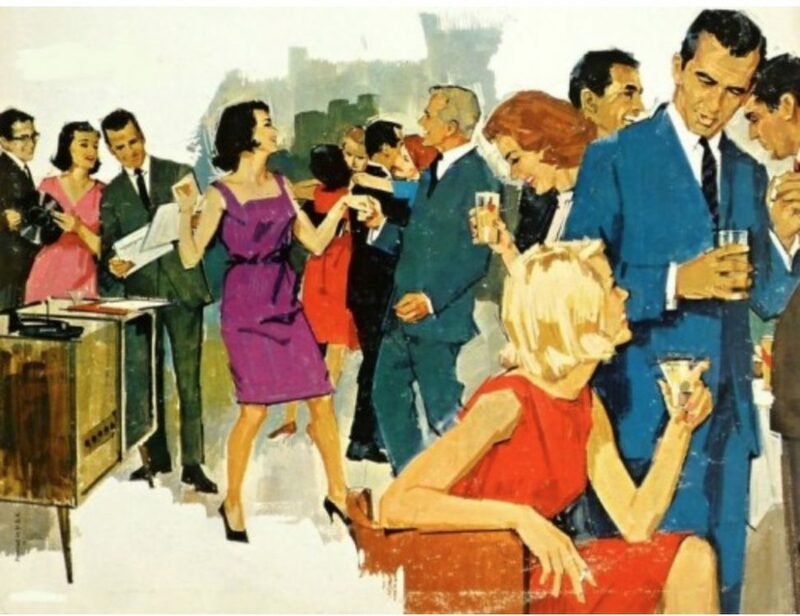 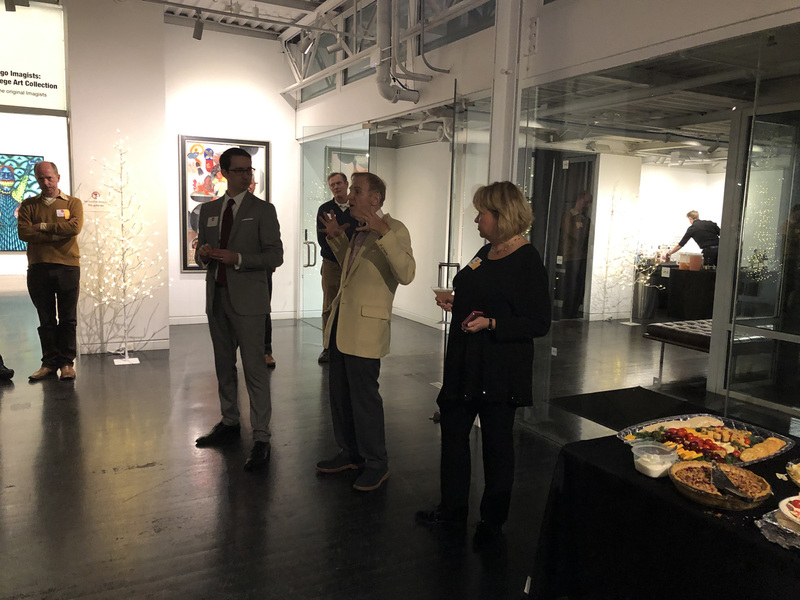 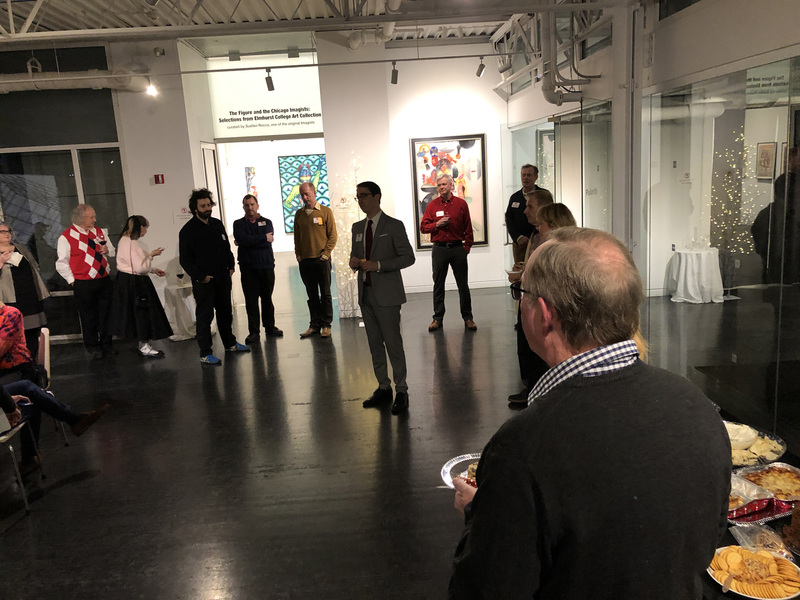 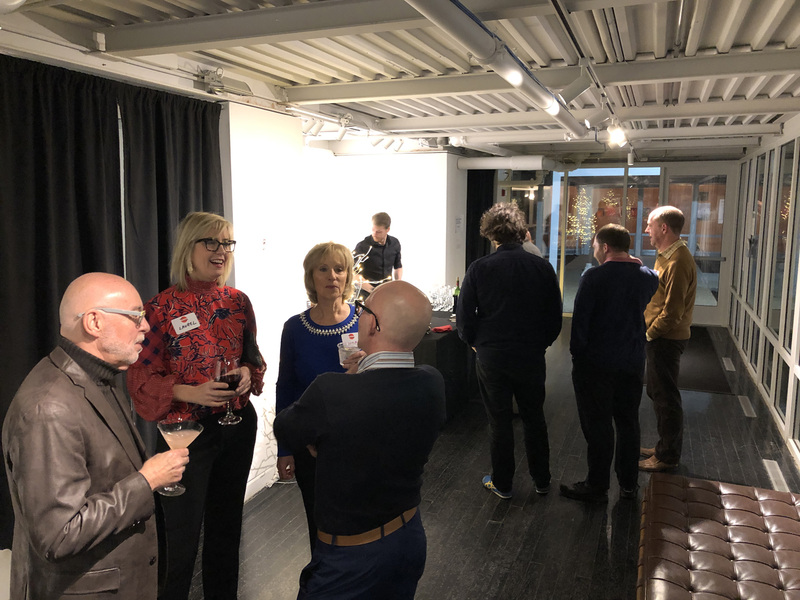 Chicago Bauhaus and Beyond paid members were invited to the annual Retro Holiday Potluck Party, which was held last night, Sunday, December 2nd, 2018. 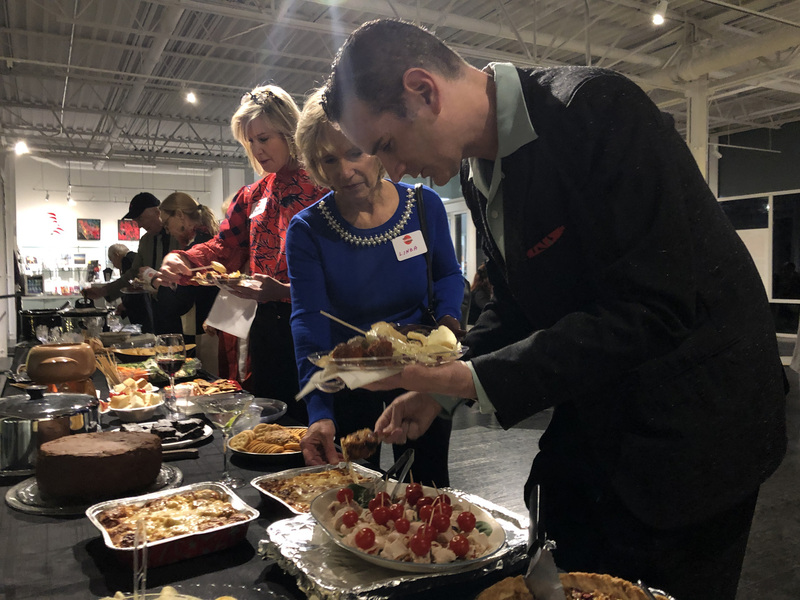 Members brought a dish to share – vintage recipes on vintage dishware, or vintage-inspired, and really outdid themselves this year with many delicious dishes for all to enjoy. 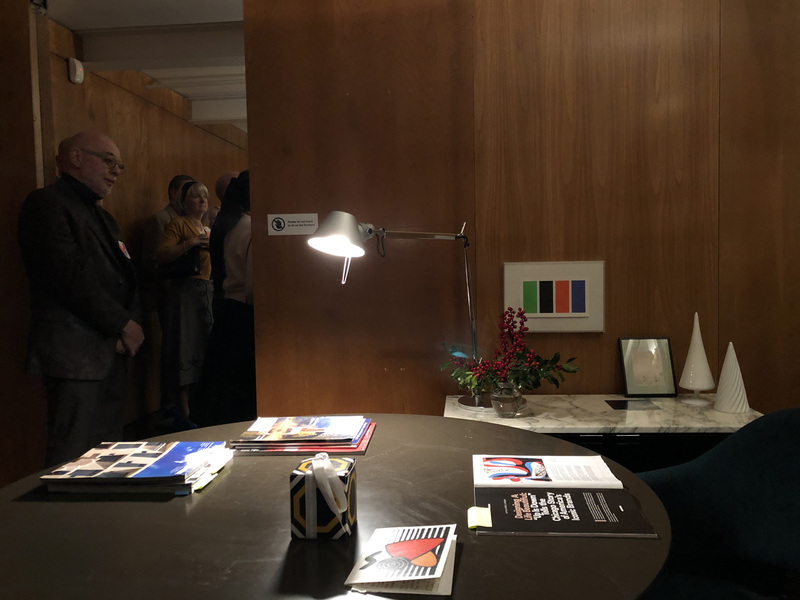 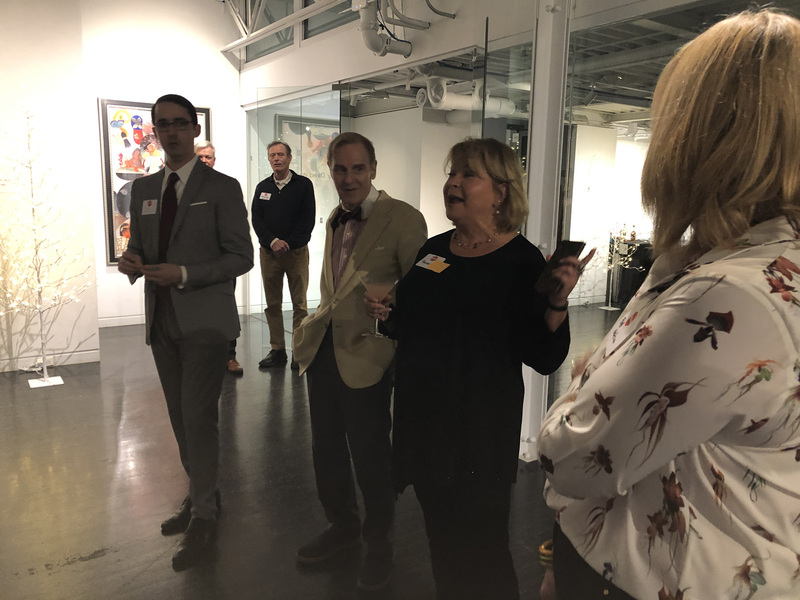 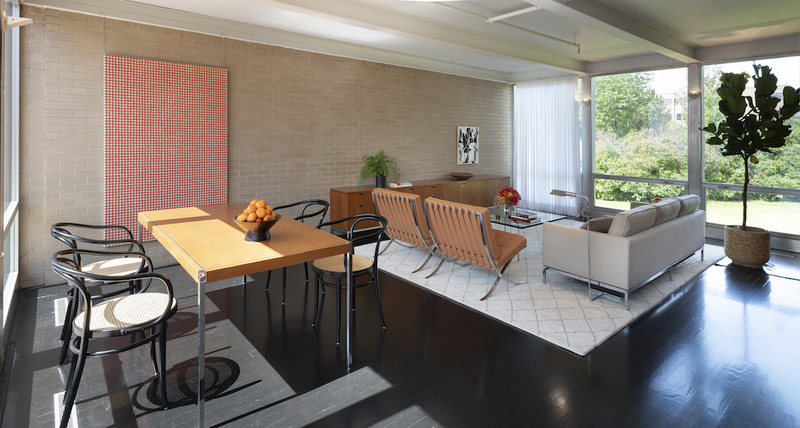 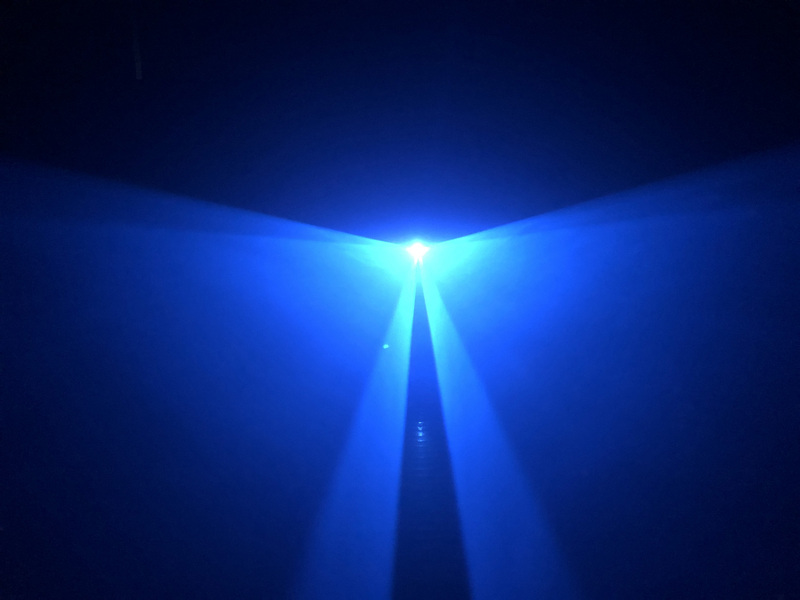 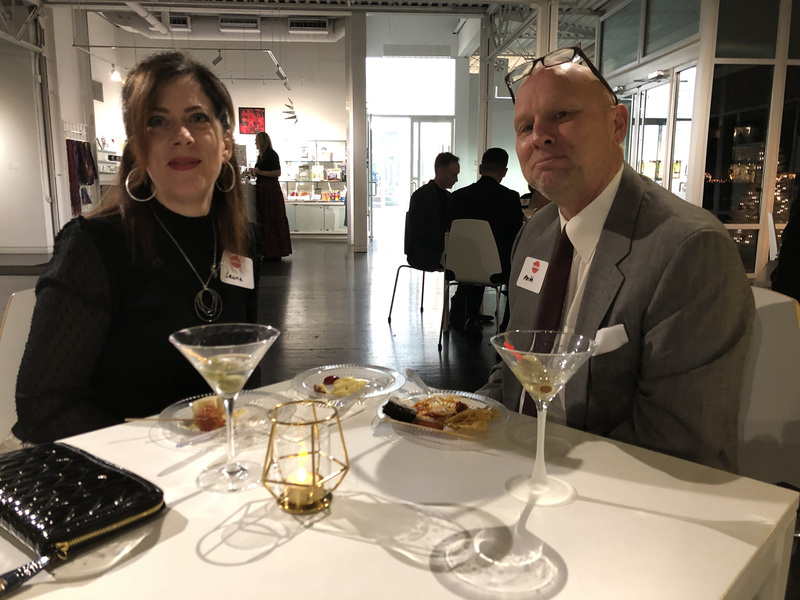 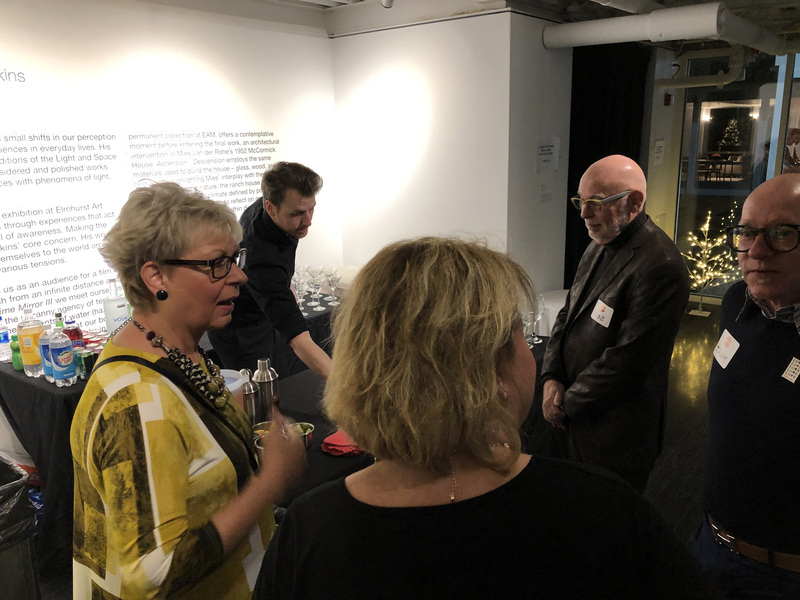 This year’s event was held at the Mies van der Rohe McCormick house that is located at the Elmhurst Art Museum. 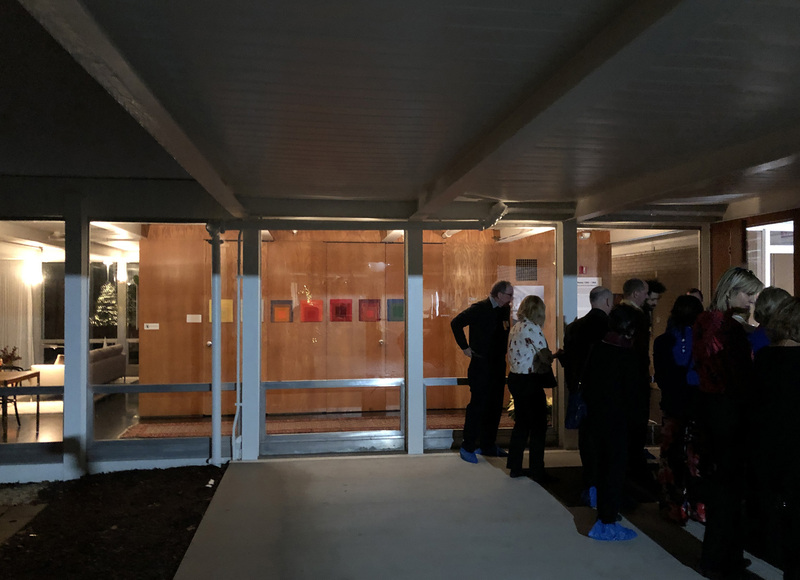 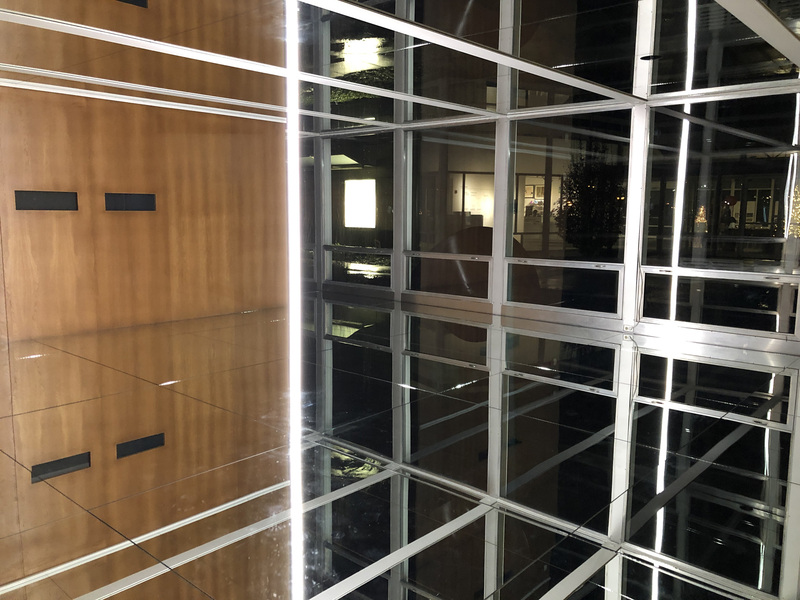 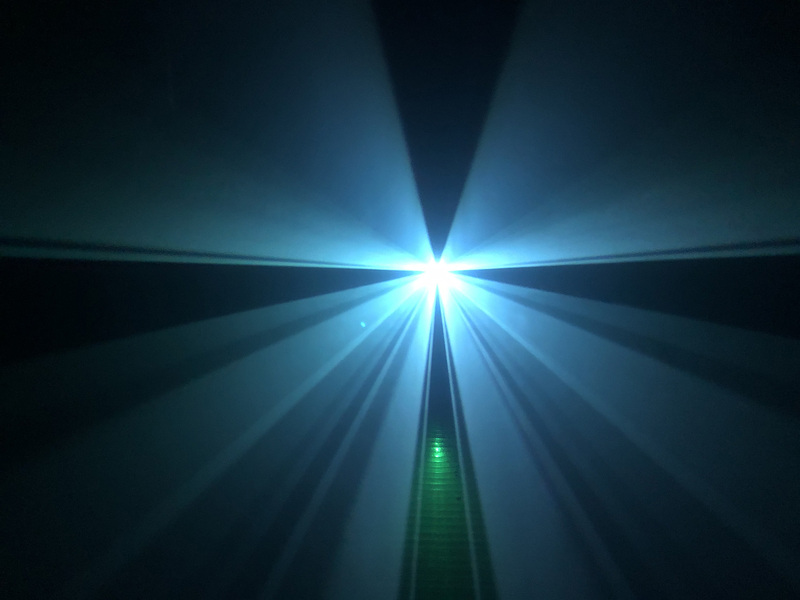 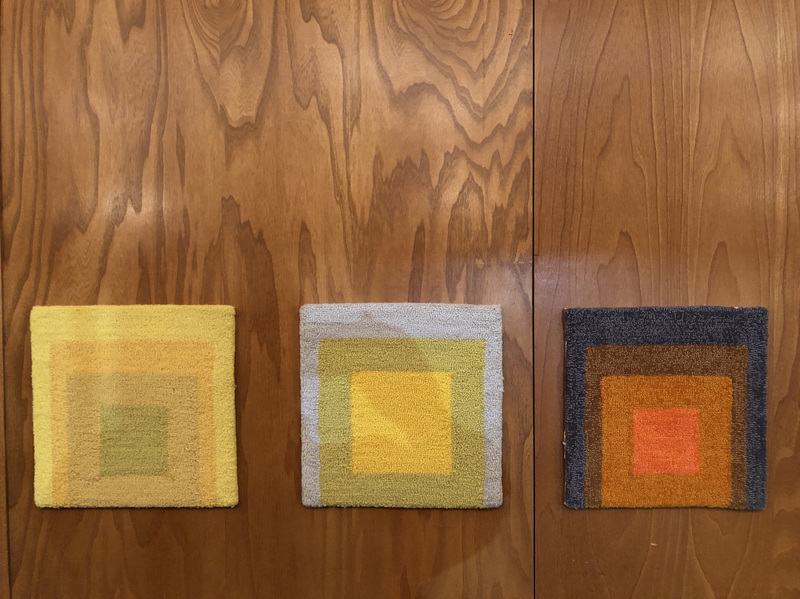 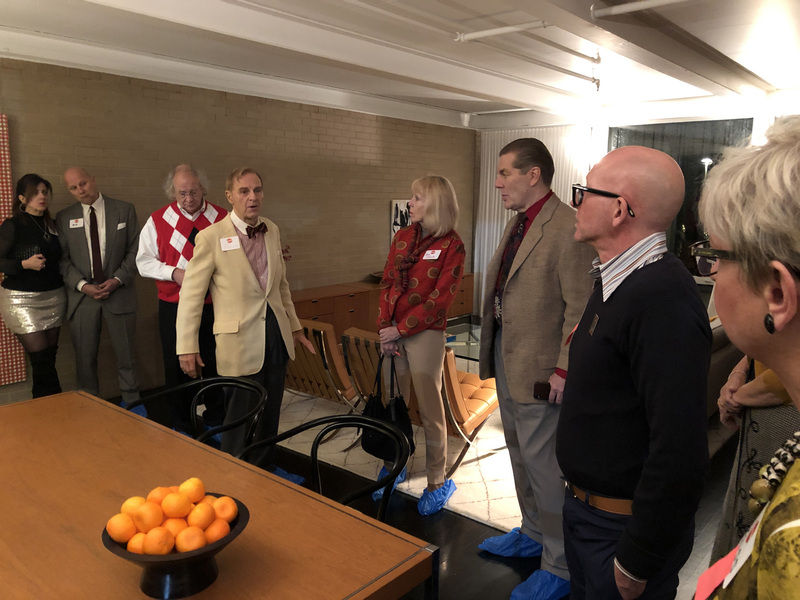 The house has been enlivened with an incredible mirrored art installation by David Wallace Haskins in one half, and a midcentury furniture and art installation curated by Bauhaus expert interior designer Robert Kleinschmidt and Ryan Monteleagre in the other. 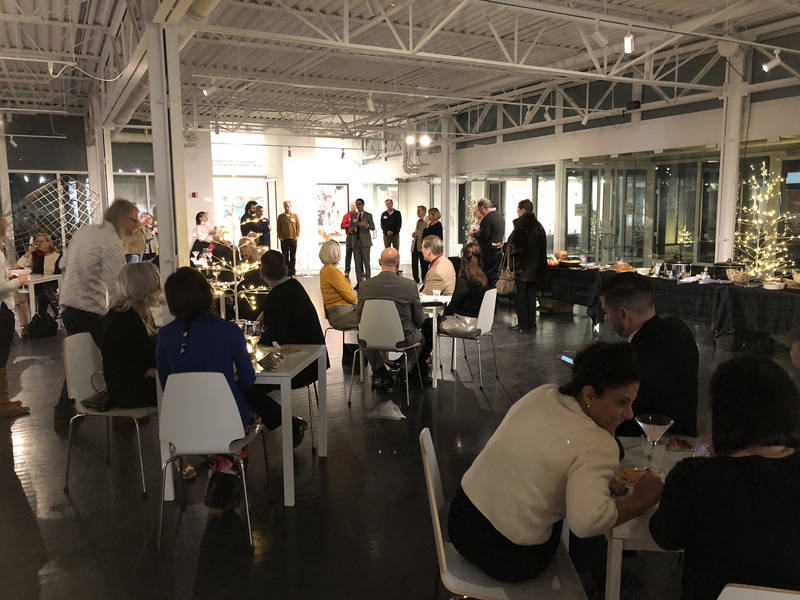 Our party was held after the museum closed, and we had the entire space to enjoy. 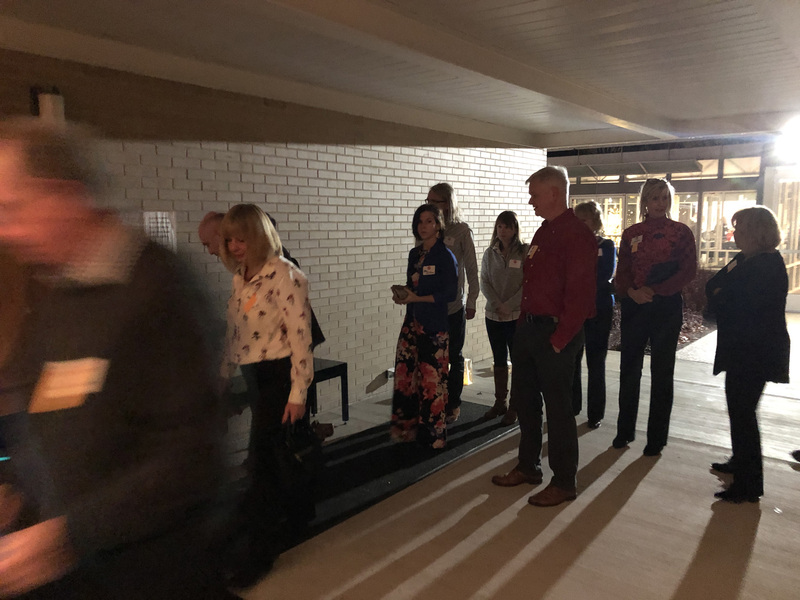 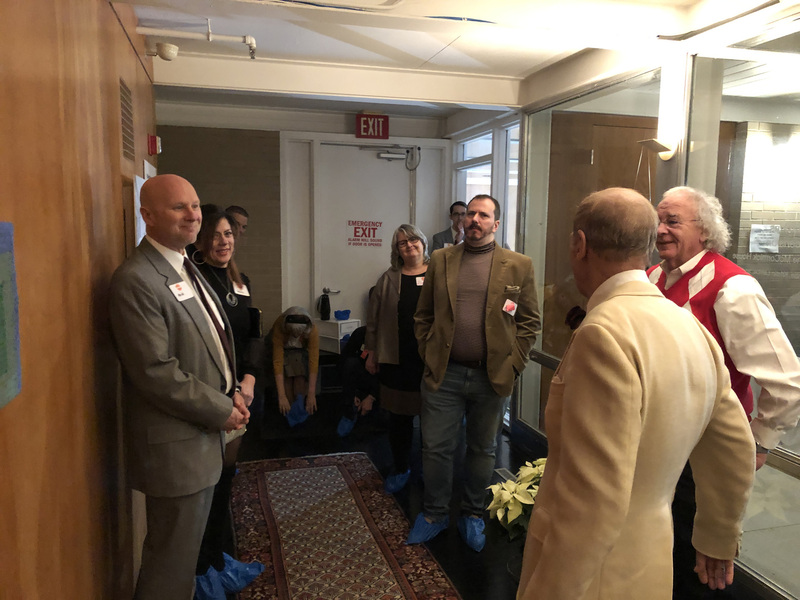 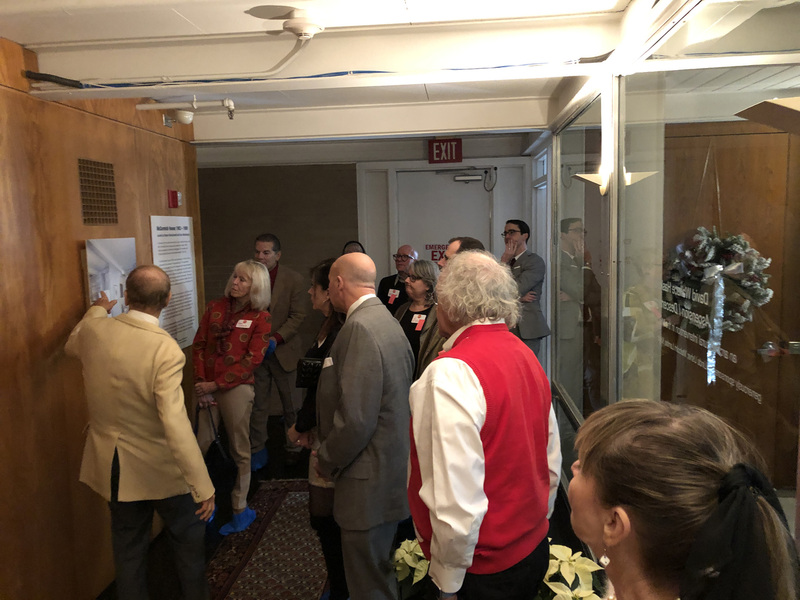 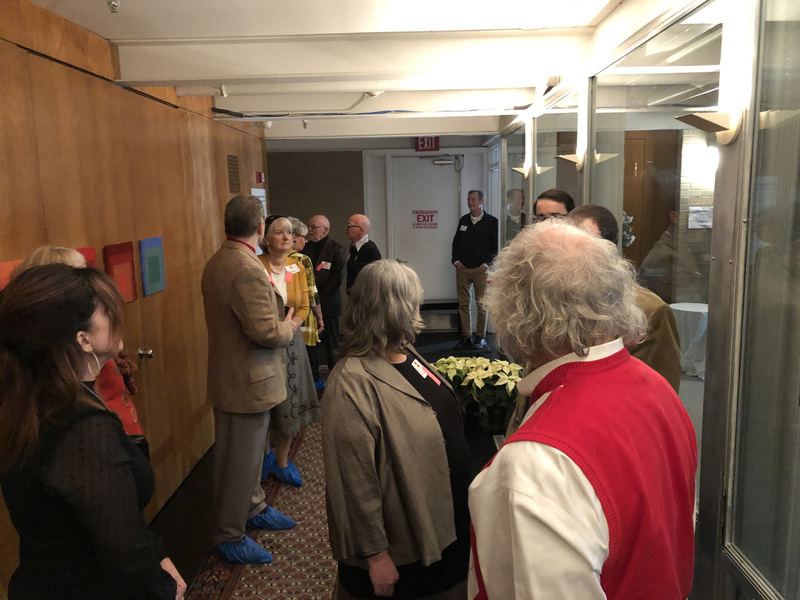 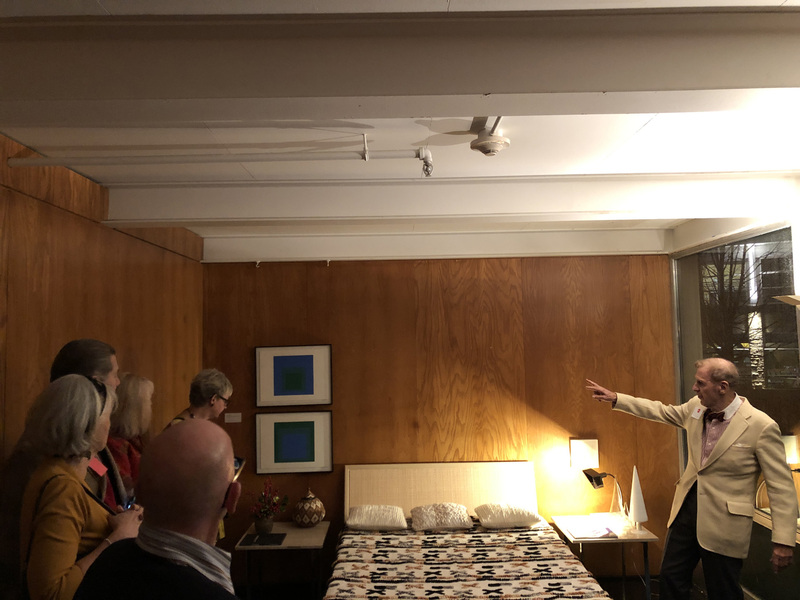 Rob Kleinschmidt was on hand to lead tours of the McCormick house, and talked about the furniture and art installation.